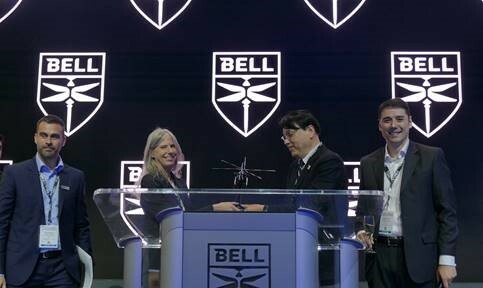 Bell has signed a purchase agreement with Subaru Corporation for a Bell 412EPI helicopter. The aircraft will be operated by Nagano Prefecture Firefighting Department for firefighting, disaster relief and emergency response missions in Japan. Bell has a robust relationship with Subaru in Japan. With over 1500 aircraft delivered since 1952, together, we remain one of the strongest vertical lift supplier in the country. The Bell 412EPI remains a staple in this part of the world with multiple prefectures continuing to operate the aircraft for public services and life-saving missions. We look forward to a bright future with Subaru, supporting the UH-X program and bringing the new Bell 412EPX to market. The partnership between Bell and the 2019 PGA Championship will offer an unparalleled flight program that will transport key stakeholders -- including C-Suite executives, corporate hospitality clients and PGA Officials – from multiple sites in Manhattan and surrounding New York Metro corporate centers to/from an on-site landing zone located at Bethpage State Park, just minutes from the PGA Championship. Bell is proud to provide aircraft to services like Zip Aviation and BLADE who give customers precious time back when traveling. 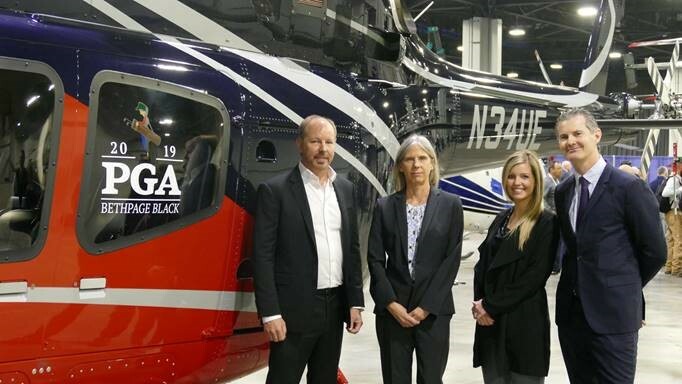 We are excited to offer customers attending the PGA Championship at Bethpage Black a one-of-a-kind experience and raise the bar for air travel in one of the world’s most popular corporate helicopters, the Bell 429. 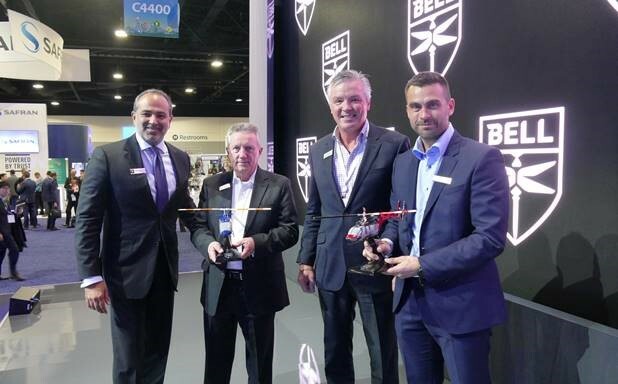 Bell has signed three purchase agreements for one Bell 505s and one Bell 407GXi helicopter in Africa. The Bell 407GXi and one Bell 505 signed with Bell Independent Representative, National Airways Corporation (NAC), will be operated in South Africa and the additional Bell 505 signed with Bell Independent Representative, Africair will be the first aircraft of its type to be delivered in Ethiopia. 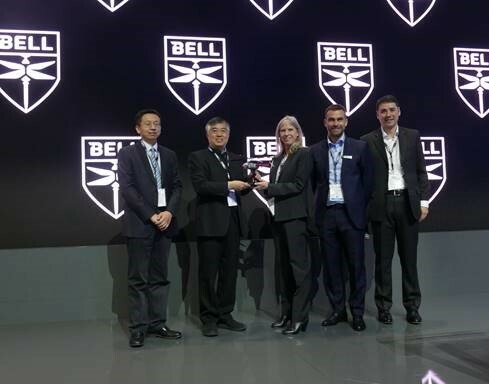 Bell announced today the delivery of the first Bell 407GXi to Xi’an based operator Shaanxi Helicopter (SHC). The Chinese operator SHC ordered 100 Bell 407s in 2017 to create an air medical services and public safety network in China. We are thrilled to be delivering our most advanced Bell 407 model to our Chinese customers. The Bell 407GXi’s increased performance is ideal for air medical services. It brings advanced capabilities that will benefit the people of China with better quality of life and healthcare services. 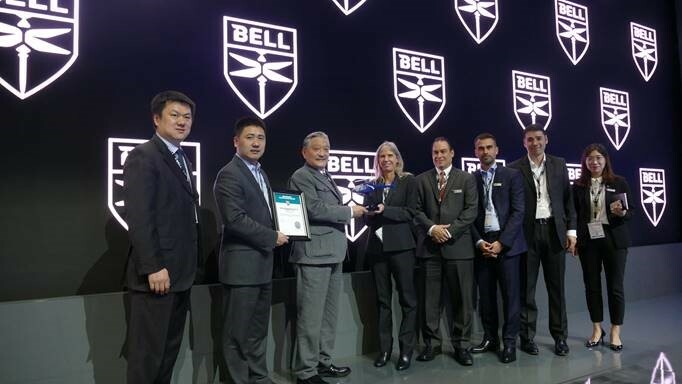 The Bell 407GXi received type certification from the China Aviation Administration of China (CAAC) in February 2019. Today, Reignwood Star General Aviation has been appointed as a Bell Authorized Maintenance Center (AMC) for the Bell 505. The new Bell 505 AMC located at the Reignwood Beijing Miyun Airport will be the first in China. We are committed to the safety of helicopter operations in China and are building capability to bring training, award-winning services, maintenance repair and overhaul solutions locally. We will continue to share our know-how in China to better service our growing customer base. Reignwood operates the largest Bell helicopter fleet in China, comprising of five Bell 505s, eleven Bell 407s, five Bell 429s and three Bell 206s.